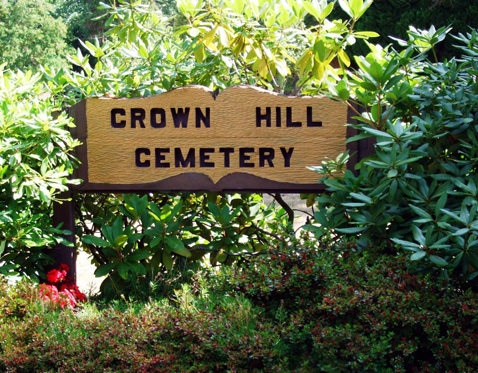 It takes a little bit of effort to find Crown Hill Cemetery near Seattle’s Ballard neighborhood. Surrounded by hedgerows and with a sign half-swallowed by rhododendrons, the low profile is so effective, some local residents don’t even realize it’s there. And that’s how the old Scandinavians probably would have liked it. Pine, cedar, and fir trees are scattered throughout the site, offering both shade and a reminder of the area’s logging roots. Another surprising aspect is the amount of seemingly open, park-like space in the oldest sections. 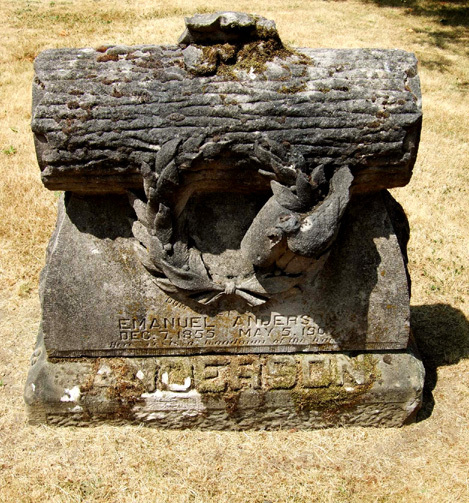 The unexpected, in-ground headstones can claim this credit. Discreetly receding into the lined distance, the markers are simply inscribed with such old-fashioned names like Hedwig, Torbjorg, Inga, and Lars. 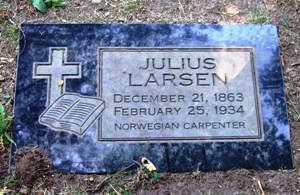 The in-ground setting can make finding a particular headstone challenging. 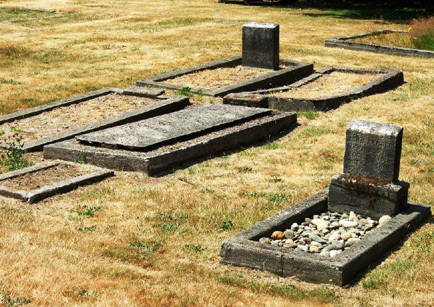 One woman asked the caretaker for help after an unsuccessful hunt for her family marker. Perhaps the stone had been stolen? However, after one last careful search, the caretaker managed to locate the marker discreetly covered with grass clippings. Sawmills were dangerous places. The pounding of the machinery and the shrill whine of the saws were hypnotic. Edgers and planers could trim a board almost faster than the eye could follow. As a result, reflexes lost their timing and when that happened, the saws butchered the shingle weavers’ hands. The overall perspective on sawmill work wasn’t much better. Coming up next week – Part II: Disease, fire, and unsolved mysteries. ** Images of America: Norwegian Seattle: Leander, Kristine. © 2008, Arcadia Publishing, San Francisco. Pg 51. **** More Deadly Than War: Pacific Coast Logging 1827 – 1981: Prouty, Andrew Mason. © 1985, Garland Publishing, Inc., New York. Pages 113, 115, 117-118. Thank you for this — very interesting. 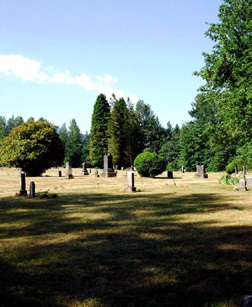 My great-grandfather is buried at this cemetery. It’s interesting how obscure the cemetery is — if you don’t know where to find it, you’d never know there’s a cemetery in the area. My husband and I had a chance to walk around this graveyard last night. Very cool place. The newer headstones with the ppls face etched into marble is quite interesting. I really love all the older ones though..such history. It’s always so amazing to me that these were real people with families that are still in ballard. Keep up the good work. Thanks so much for stopping by the site. I’m glad you enjoyed the article and I must say, it was one of my favorites to research and write. Thank you for your kind comments!